Perhaps China’s most celebrated holiday, Chinese New Year, will take place this year between February 4th and February 10th. As a result, many businesses will shut down for a week or longer, and in some cases, they will shut down up to three weeks. Here are a few ways that the shutdown for Chinese Lunar New Year can affect your supply chain. Shut downs lead to vessel cancellations: As most exports from China won’t be occurring during the holiday, vessels that would normally handle these shipments are cancelled outright. Capacity Issues: As shippers rush to get things out prior to the holiday, the shipping lines will tighten capacity which could lead to increased lead times and prices. Port Congestion: Ports in China will experience heavy congestion due to the lack of truck drivers, stevedores and even customs officials. Price Increases: Without a contract in place that protects you from peak season or general rate increases, the market will push prices to go up leading into the Chinese New Year holiday. 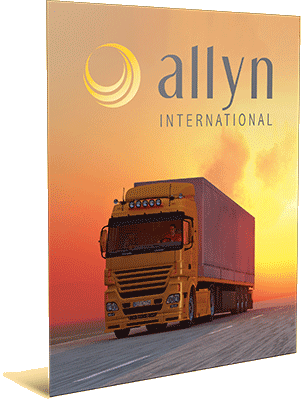 If you would like additional information on how Chinese New Year may affect you, or if you have any other supply chain questions, please contact Allyn at (239) 489-9900 or you can email us at sales@allynintl.com.